When you work with water or oil, splashes can get on your arms or ruin your clothes. The Lightweight Elasticated 18" PVC SL-PVC Sleeves help protect you against splashes. As the sleeves are elasticated on both ends, they don't easily move out of place. These are designated Category I sleeves, meaning they should be suitable for most minimal-risk tasks. As the sleeves provide protection against splashes of water and oil, they work well in industries where other hazards are not present. 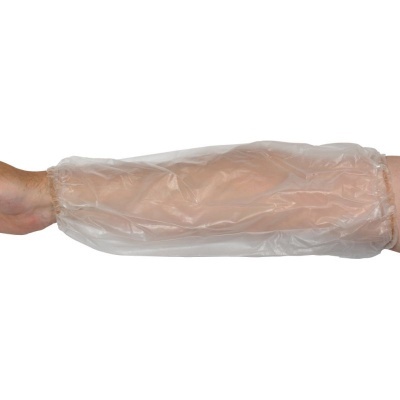 The Lightweight Elasticated 18" Sleeves are available in one size to fit most users. As the sleeves are designed with elasticated ends, they will adjust according to your arm and wrist size. This helps ensure you remain comfortable throughout use.